My sister’s 2003 Subaru Forester had developed an extreme vibration when braking. I’d never felt worse, the entire car would shake. 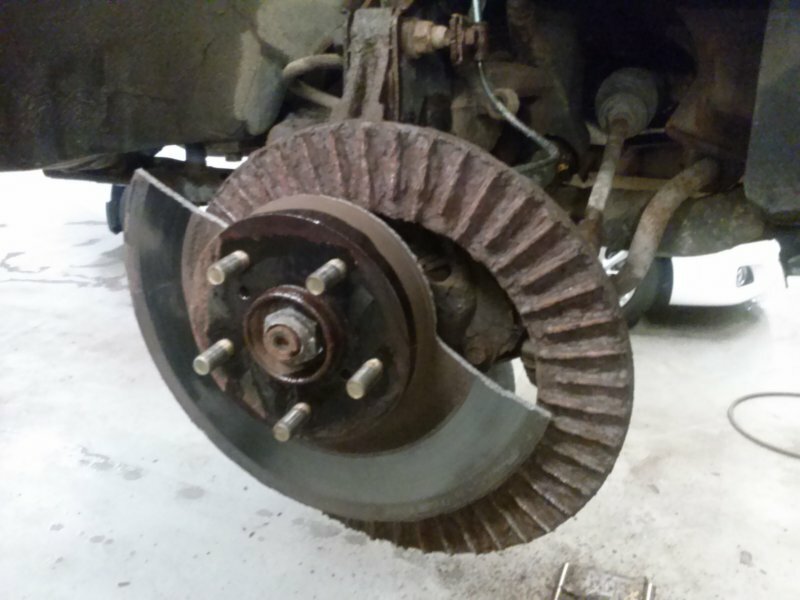 I took it to work on my day off to change the front brakes, and when taking the old rotors off, something unusual happened. The rotor did not stand up to my force. 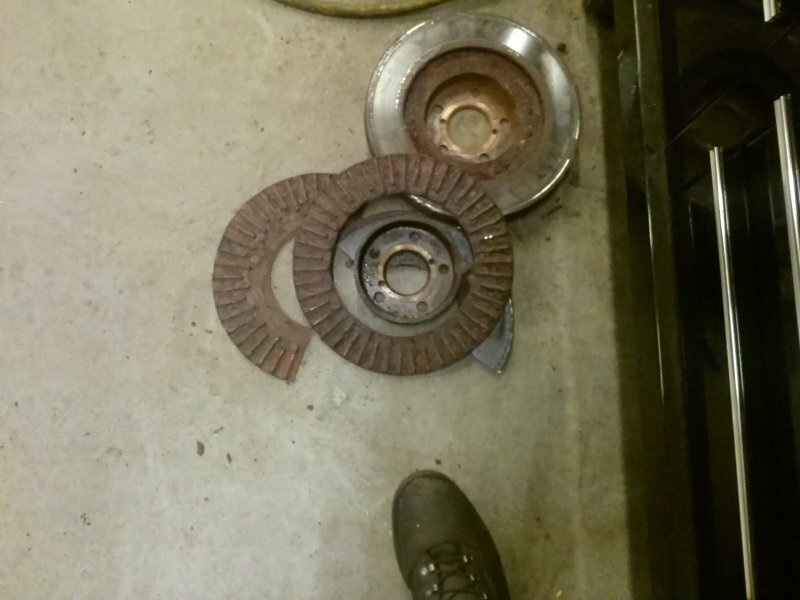 Usually rotors are rusted to the hub, which means hitting them with a hammer, but instead of coming off when I hit it, this one just fell to pieces. Even some of the experienced guys at the shop were surprised by how it broke. It’s not that unusual for them to break around the center when they’re really stuck, but for it to split the way it did was a big surprise. I’m going to start making posts on Mondays as well as Thursdays. Mondays will probably typically be shorter posts than Thursdays. This entry was posted in Family Cars, In The Shop and tagged Brakes, Wow. Bookmark the permalink.